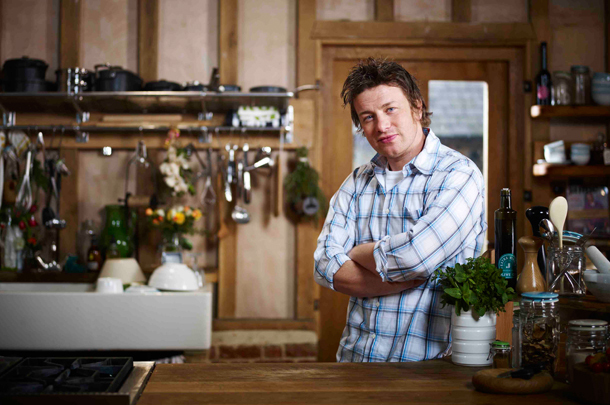 Jamie Oliver is joining the ‘cruise chef wars’ by opening a restaurant on Royal Caribbean’s Anthem of the Seas, according to leaked reports. A floorplan showing Jamie’s Italian was accidentally posted online before being quickly deleted. The restaurants on sister ship Quantum of the Seas are being officially announced tonight. If it’s true that Oliver, 38, is setting out his stall on Anthem, it will put him in direct competition with old adversary Marco Pierre White and Saturday Kitchen star James Martin, who are among the five ‘food heroes’ on board rival P&O Cruises ship Britannia which will also be sailing from Southampton next year. According to reports by Royal Caribbean Blog and posters on Cruise Critic, the leaked document also shows Anthem will have no main dining room. Both Royal Caribbean and P&O Cruises declined to comment on the speculation. This entry was posted in News and tagged Anthem of the Seas, Britannia, food heroes, Jamie Oliver, Marco Pierre White, Royal Caribbean. Bookmark the permalink.